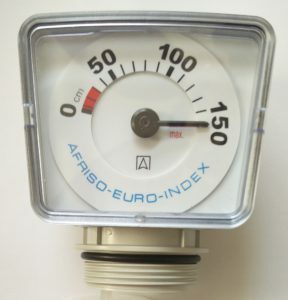 The Afriso Mechanical Gauge is a simple mechanical float that shows the measured height. 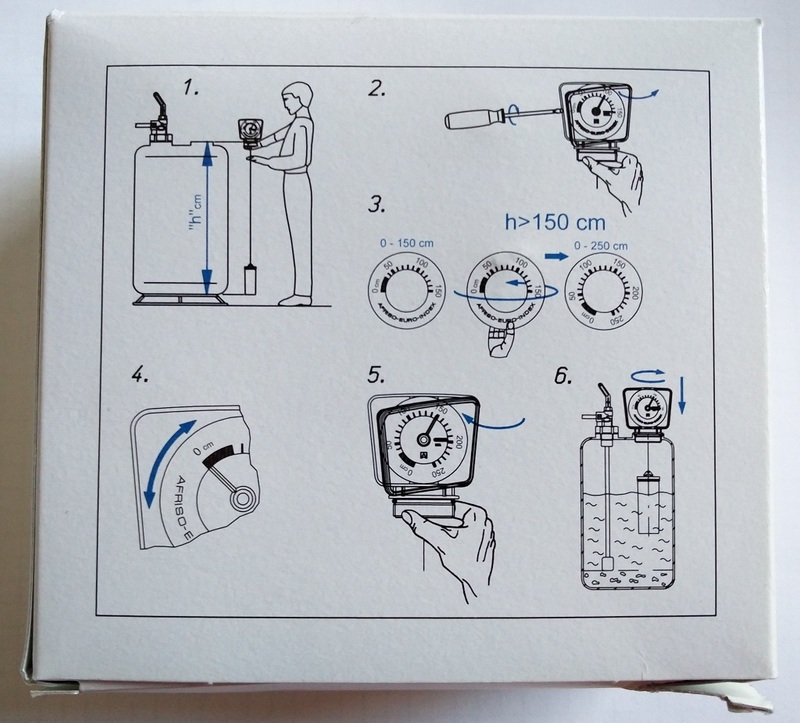 It can be used to show either up to 5ft/150cm or can be converted and set up to display 8ft / 250cm. It is mounted on top of the tank as shown above.